Borneo has to be one of the most diverse and stunning islands on our planet! There’s so much to see and do here that you could spend a lifetime and not see everything. With amazing flora and fauna, stunning coastlines and lush jungles, Borneo has it all. 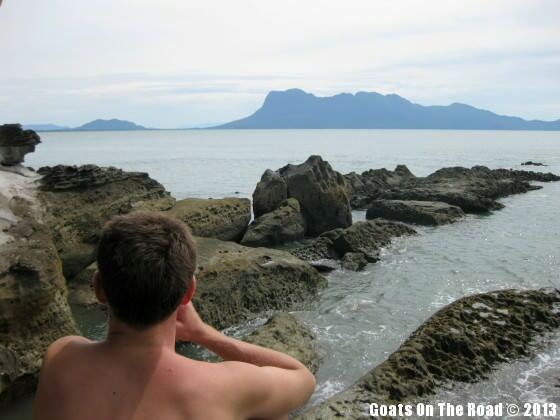 Enjoying the beautiful views from the coast at Bako National Park. Bako National Park. This jungley area has 16 well-marked hiking trails, which make for great independent trekking. There are some awesome animals here that are only found in Borneo: the Proboscis Monkey, which is a hilarious looking animal with a huge nose and the Silvery Langur Monkey. If you keep your eyes peeled, you can spot them in the trees. The elusive Proboscis Monkey and Silvery Languar at Bako National Park. Along the coast there are massive limestone cliffs that jut out of the sand. The scenery at this National Park is outstanding! The cost of entry is 20 MYR ($6.50) for foreigners. 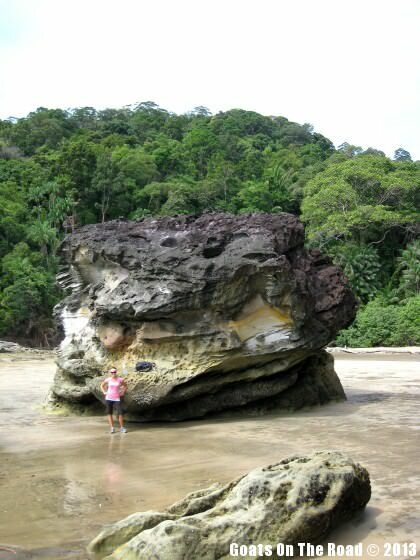 Me standing below the massive rock formations on the beach at Bako National Park. Niah National Park. The caves at this National Park are massive. The aptly named Great Cave is about 1km long and 1/2 a km wide. Human remains from over 40,000 years ago have been found here! Looking out through the enormous entrance to the Great Cave at Niah National Park. There is a smaller cave called the Painted Cave where rock paintings have been found dating back 1,200 years. 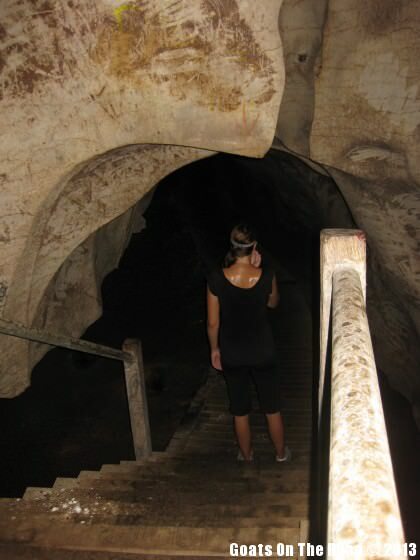 The wooden walkways leading to the caves are easy to follow and a guide is definitely not needed. 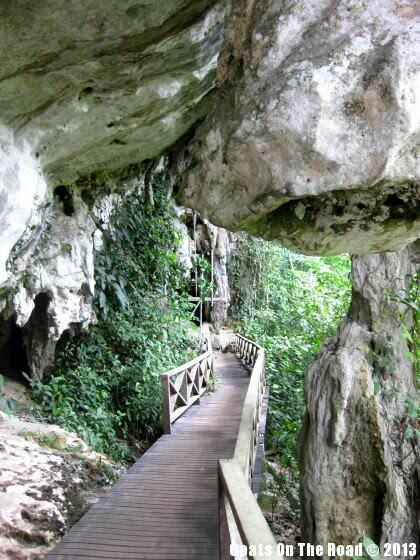 The wooden walkways around Niah Caves, easy hiking without a guide. The whole area is surrounded by thick, lush jungle. It’s stunning! 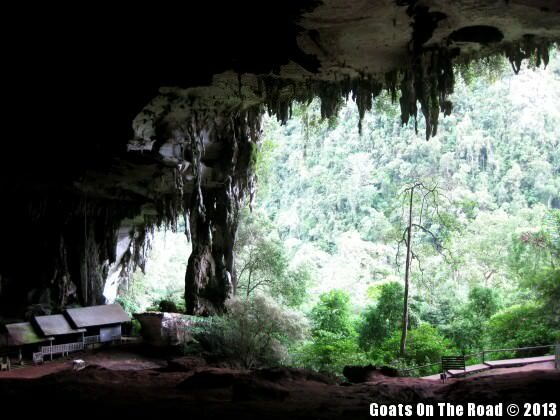 We recommend renting a car from Miri and driving to the caves yourself. The entrance fee to Niah National Park is 20 MYR ($6.50) for foreigners. Heading into the dark cave. Visiting the National Parks of Borneo is a must. The lush jungle, the animals and the scenery are spectacular. We always try to travel independently and on a budget, and these two parks fit into that travel style nicely. We highly recommend renting a car or taking a bus out to these National Parks and walking around at your own pace. Enjoy! What are your favourite National Parks in Borneo? Leave a comment below! Welcome to Sarawak once again to explore to more places and unveil the beauty of the mother nature of Sarawak…..
Sarawak indeed can be your budget vacation in Asia….. Thanks for including this information Lina! love your website – very inspiring, especially now that I’m in between jobs. 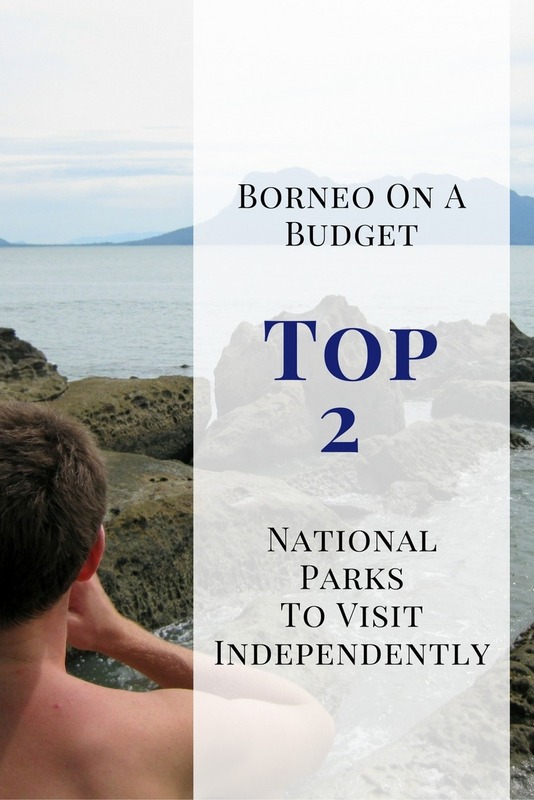 Bako national park is one of my favourite parks in Malaysia – better than taman negara – as it has more variety of trails, animals (those funny monkeys and borneo bearded pigs), pitcher plants, beaches – and so easy (and cheap) to reach from Kuching. Still thinking of Miri (Niah) or do the more spectacular Mulu? – bit more complicated and expensive to get there. we’ll see. Thanks for the comment! The parks in Borneo are great 🙂 Never made it to Mulu though due to our budget at the time 🙁 Next time! Could not agree more with what you say about Bako. It is an amazing place and gives you an opportunity to see proboscis monkeys, which was the highlight for us. 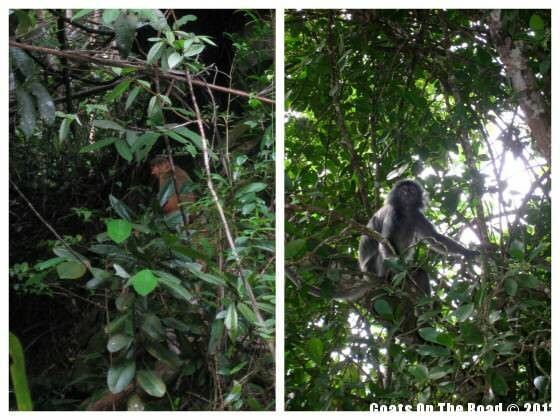 Although we spent five hours trekking along the trails, we ended up seeing the monkeys right next to HQ! Loved the boat ride to the park as well.